You should never do in races what you don’t work on in training. Runners want to negative split and finish strong. But then they do all their runs at an even pace. Or the only time they run fast is when they do speedwork. In so many other ways, runners do most of their running in an entirely different pattern of behavior, routine and other fashion than they intend to do so in their races. This is not to say your workouts should all be dress rehearsals for your races. In many cases (like a marathon) this is impossible. However, in sports a typical practice usually works on specific elements and routines that athletes will utilize in the actual competition. A workout should whenever reasonable provide opportunities to work on things you will need to do specifically in a race. Obviously a regular run works on running. But races are run at a harder pace than a regular run. Of course, you can’t just race all your workouts without risking injury or burnout. And of course you do want most of your running to be easy intensity for the same reasons. Still, you can work on one key pattern of behavior that you will utilize in a race: You can work on finishing a typical run faster and stronger than you did the rest of the run. The value: As you tire in a race, you have to work harder to maintain your pace later in the race than you do at the start. Thus it helps to practice giving more of an effort at the end of a run to simulate this demand and help you practice working within that state. It doesn’t unduly tax you to do it in the final few minutes of the run, the way it would for you to run hard the entire length of the run (as you would in a race). An easy example: You go on a 45 minute run. You start easy and do most of the run easy. But in the final mile or the final 10 minutes, you pick up the pace to something “comfortably hard”, fast and a little challenging, but something you can steadily maintain for a mile or so. You stay at that pace or better until your run is done. This fast finish run isn’t unheard of. In fact, a lot of coaches recommend it. Hal Higdon’s advanced 3/1 runs are basically this. Matt Fitzgerald’s training plans feature lots of fast finish long runs. I actually used to do this when I first started seriously training. When I used to listen to music while running I’d go for a run set to LCD Soundsystem’s 45:33, with the goal to return to my starting point by the end of the 46 minute track. Sometimes, with the song approaching it’s end I’d be a little too far from the finish and I’d feel compelled to speed up to get there in time. 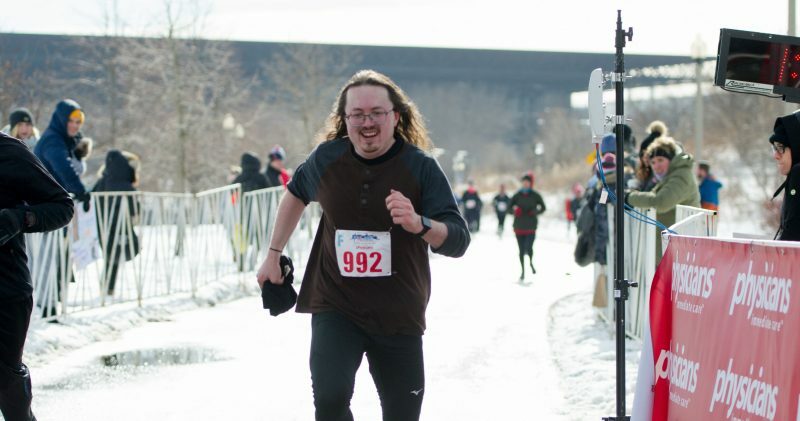 Turns out, without my realizing it, I was basically doing the fast finish run. It’s probably one of many key factors that led to my substantial improvement. So, whether or not you want to time it to music, a great way to practice race-day running is to finish some (not all, but some) of your regular runs a little faster. Practicing that end-of-race “kick” in workouts will better prepare you to kick for real at the end of your actual races. Plus, it’s a sneaky way to work on “speedwork” without having to devote an entire tough workout to it.